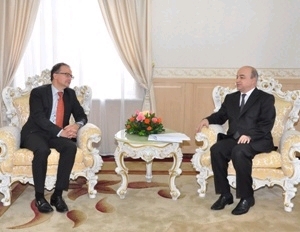 Dushanbe, September 24 -25, 2014 – IFC Tajikistan Business Regulation and Investment Policy (BRIP) Project supported the official visit of Mr. Christophe Bernasconi, Secretary General of Hague Conference on Private International Law to Tajikistan. The objectives of the visit were (i) to discuss Tajikistan’s progress on Apostille Convention and propose further steps in the accession process (ii) to introduce the Apostille Service – new service which will be provided in the coming future in the Republic of Tajikistan and (iii) to introduce the Hague Apostille Convention to the Parliament of Tajikistan. Tajikistan is finalizing the process of accession to the Hague Convention of 5 October 1961 Abolishing the requirement of Legalisation for Foreign Public Documents, known as the Apostille Convention, one of the most successful legal cooperation treaties in the sphere of private international law in the world. The government of the Republic of Tajikistan has expressed strong commitment and political will to join the Hague Apostille Convention. 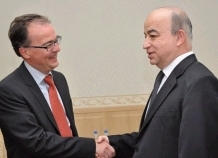 The inter-ministerial working group on the accession to the Convention, led by the Ministry of Foreign Affairs of the Republic of Tajikistan has been established with technical assistance from IFC. The Working Group for the period of its activity has completed all the necessary documents including 4 deep analysis and 14 different normative acts regarding accession to the Convention. It is expected that Tajikistan will join the Hague Convention on Apostille till the end of 2014. 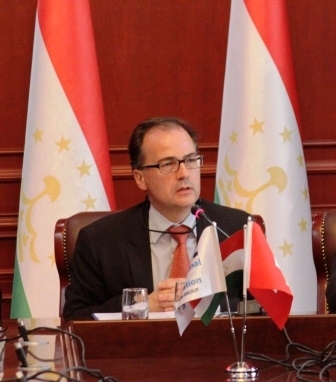 The agenda of the visit included a meeting with Chairman of the Parliament of the Republic of Tajikistan, a series of meetings with representatives of the Government of Tajikistan, Round Table with the aim to present a new Apostille service, training for civil servants, as well as discussion of the accession process with the press during a press conference. 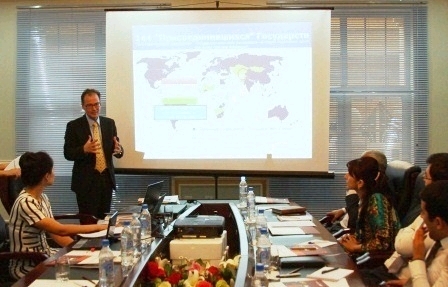 IFC Business Regulation and Investment Policy project works to improve the investment climate in Tajikistan. The project does this by supporting the Government in improving legislation regulating private sector in Tajikistan. It focuses on reducing the regulatory burden on business by streamlining selected regulations and assisting with implementation in certain areas. 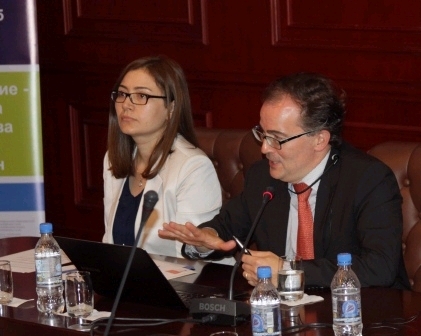 The initiative is part of the IFC's Business Regulation and Investment Policy Project, implemented in partnership with the UK Department for International Development and the Government of Switzerland.